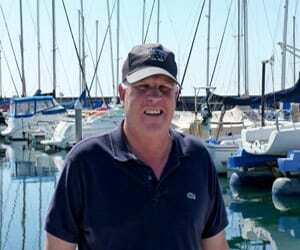 Chandlery Yacht Sales, based in Santa Barbara CA, is proud to represent the amazing line of X-Yachts. 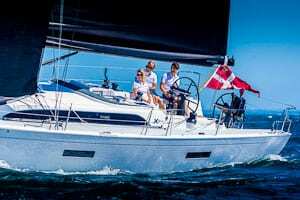 X-Yachts is a Danish based yacht builder. From its humble beginnings 40 years ago, X-Yachts has risen to become a world leader in the design and development of truly fantastic luxury yachts. With crafts ranging is size from 35′ to 60′, X-Yachts has something to excite the senses and passion of any sailor looking for a fine cruiser or stellar performance yacht. The true test of excellence lies in the fact X-Yachts boats have been nominated or won over 25 Boat of the Year awards in US, Europe and Asia. A yacht which delivers Superior Sailing Pleasure is a yacht which sails well in a variety of wind conditions and seas, offers luxurious comfort, is safe and reliable and provides pure enjoyment when on the water. Every detail of an X-Yacht, from the hull lines through to the world-class craftsmanship, stem from this idea. The difference between X-Yachts and other yacht builders comes from how the yachts are designed, built and specified technically. Production cost is not the main priority at X-Yachts; instead, features and equipment are chosen, no matter the cost, to ensure all models excel in key areas. X-Yachts is known for their keen attention to detail. In the beginning, the X-Yachts team focused on world-class racing yachts. Their success gained attention and soon they were being asked to produce cruising class yachts. 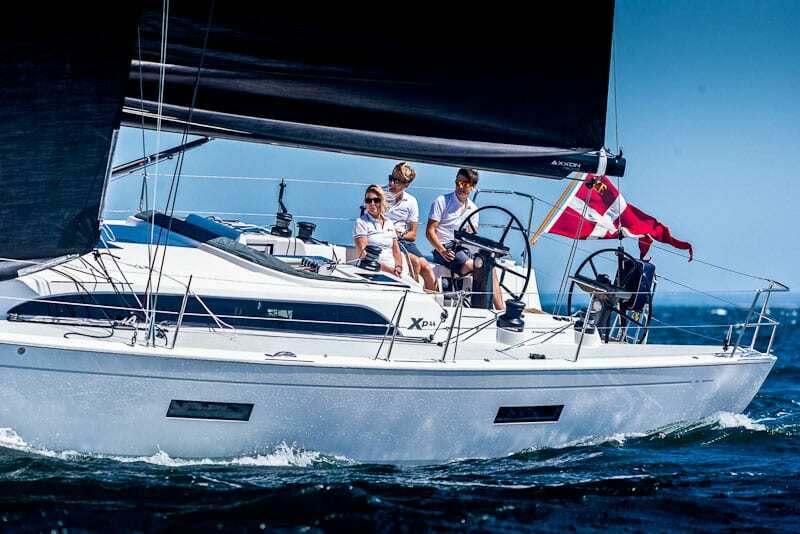 XP line is aimed at the performance market with yachts ranging in size from 38′-55′. 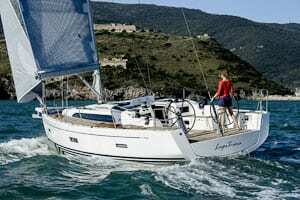 XC is their cruiser line sailboat with sizes from 35′-55′. The X line of yachts is their new hybrid line that blends exceptional performance with comfort. Each of the yachts are specifically designed to match its purpose. As with all their yachts, the build features meticulous attention to detail. 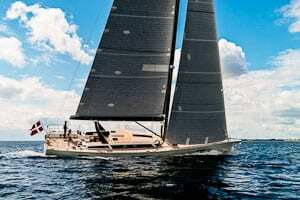 X-Yachts are not known for compromising quality for cost of materials. They use the best to achieve the best. Click on the arrows in the blue box to read more about X-Yacht’s build techniques. On the Xp and X lines, performance is imperative. X-Yachts have chosen to vacuum infuse the hulls using epoxy resin. This means that we can precisely control the amount of resin used in all areas. X-Yachts use Gurit Corecell M foam with all infused hulls. The M foam core also has superior toughness and impact resistant characteristics. 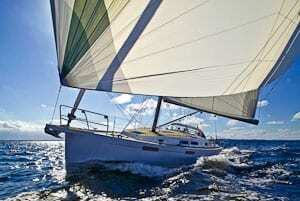 This allows for a reduction of core thickness for the same strength resulting in a lighter hull. The combination of vacuum infusion, oven baked epoxy and the M foam core is the perfect choice when weight, stiffness, and strength are a key factor. When weight isn’t an overriding factor and robustness is key, there is no better method than X-Yachts perfected the art of hand layup. This process is an excellent way of ensuring a superb quality hull. Each layer of fiber is rolled into the mold one after the other making it easy to inspect at every point. The thicker outside skins associated with the wet laminated vinyl ester construction method make for a very tough hull panel. The process ensures a dependable and repeatable quality product every time. While most yacht builders join their teak planks with caulked seams, X-Yacht chooses the use of glues finger joints. This creates a beautiful seamless look along the deck. Our team of experienced and skilled carpenters carries out the interior build on all X-Yachts. While our interiors feel contemporary, the skills used in constructing the yachts have been handed down through the generations. The boats are durable and easy to live on because the team use high quality materials and work to an agreed set of measurements chosen for their ergonomic advantages. The loads placed on the rig and deck gear are considerable on board an X-Yacht because they carry larger than average sail plans. Industry-leading suppliers like Andersen, Harken, Reckmann and Spinlock provide reliable components that are easy to use and maintain and are correctly sized for the loads involved. Lower specification items are cheaper to fit but would compromise the safety design goals of an X-Yacht. The safety of you, your family and your crew is by far the most important thing at sea. 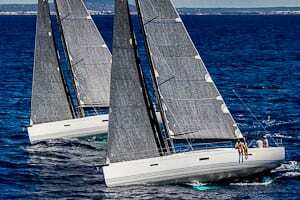 It doesn’t matter if you are racing at top regattas or cruising around the world with a young family; you want to be absolutely sure you are in the safest possible yacht. X-Yachts’ years of experience, combined with exceptional build quality and some cleverly thought out features ensure you will be as safe a possible on board. The XP50 does a lot more than win awards. See why the X65 is turning heads. We are happy to answer your questions about the fine X-Yachts line.